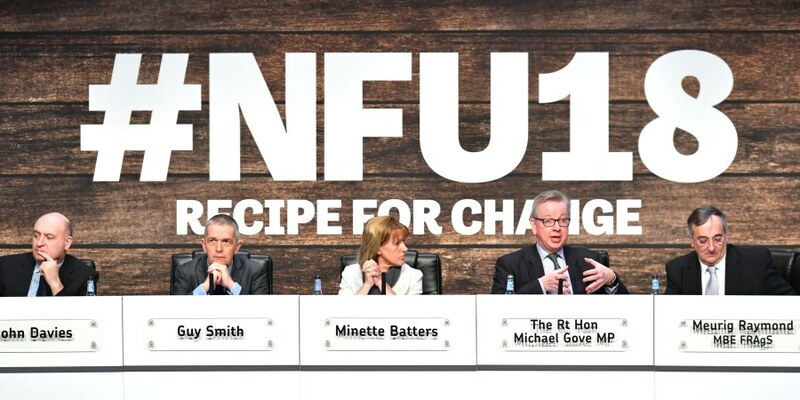 Environment Secretary Michael Gove has addressed concerns over access to labour after Brexit and announced a review of the inspection regime during the National Farmers’ Union (NFU) Conference. Recognising that farming currently depends on access to labour from abroad, both seasonal and more permanent, Gove noted that NFU has put forward “strong and compelling arguments for a Seasonal Agricultural Workers Scheme”. NFU’s departing president, Meurig Raymond warned that “frictionless trade with the EU” is needed, cautioning that “Britain’s farms need access to the EU market, we need access to a reliable workforce and we need measures to help our food and farming industry be more productive”. Ali Capper, head of the union’s horticulture board, voiced her frustration over the issue of labour, reportedly saying: “I need actions, not words”. She also added that with the Seasonal Agricultural Workers Scheme she could offset falling numbers of EU workers this season with non-EU workers. In the meantime, announcing that the Government will be conducting a “thorough and comprehensive review of the inspection regime”, Gove noted that the aim is to simplify it. The review will be led by Dame Glenys Staceys, former chief executive of Animal Health, while more detail about it will be in the Government’s consultation paper on future farming policy, due to be published shortly. Responding to the Minister’s speech, the Food and Drink Federation (FDF) noted that Gove has placed “food and drink at the heart of Government thinking”. FDF added in a statement: ““The Secretary of State is right to herald the global appetite for UK food and drink – and the potential still to be grasped.